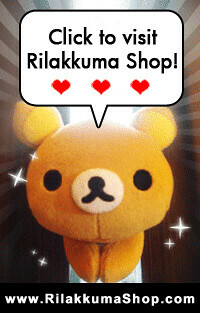 Rilakkuma Shop: Rilakkuma x JINS PC collaboration! 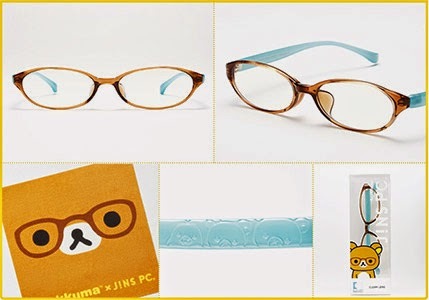 Rilakkuma x JINS PC collaboration! There is a new Rilakkuma collaboration in Japan! This time, it is a project with J!NS PC, which has a chain of spectacles shops in Japan. About J!NS: The frames of JINS eyewear created by Japanese designers are specially designed to fit the face and head shapes of Japanese. Studying the Japanese skull structure as well as the subtle curves of nose pads and arms, we have come to offer an ever comfortable fit for Japanese. JINS continues to spend its time and effort to develop comfortable, safe and lightweight eyewear. Our concern is not only maintaining comfort and safety but also introducing great looks. Each of our shops regularly carries over 1,200 frames from classic to fashionable styles to serve every customer’s individual needs. Find your best frame in your favourite colour and style. Rilakkuma, Korilakkuma and Kiiroitori are carved (?) onto the sides of the spectacles frame! 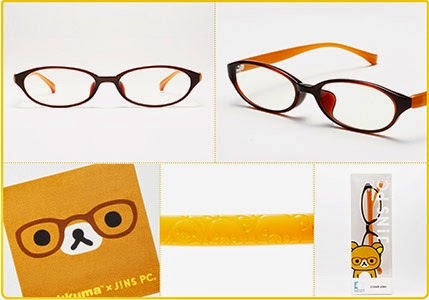 Different colored frames are set for each character and only Rilakkuma has two colors! And it seems that the frames are shaped slightly different too. 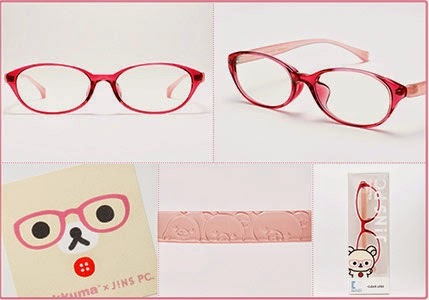 This Korilakkuma specs look really feminine with the whole pink color look. Prices of these spectacles are set as 4900 yen each excluding tax, which is around SGD 66-68? Totally affordable. You can get them from 3rd September 2014 onwards in any J!NS shop. My favourite has got to be Kiiroitori's version as my face is rather round and I love squarish looking specs. 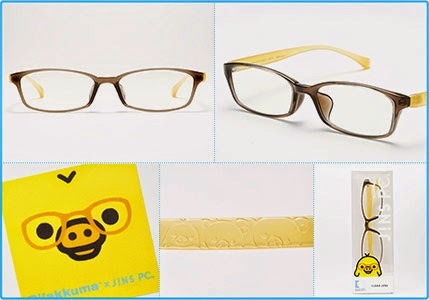 These spectacles also come with a special looking box with Rilakkuma and Kiiroitori printed inside. Look at the plushies! They are totally adorable. We are hoping that we can get some of these plushies when we are travelling down to Japan next month! They look so geeky but in a cute way, with their specs and phone. Too irresistible and just look at the tag! It's different from the usual ones so this is a must get item for us! 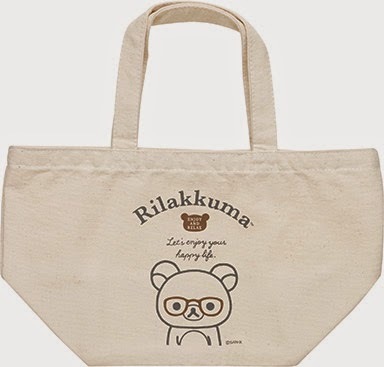 For Rilakkuma bags lovers, they also came up with a plain tote printed with geeky Rilakkuma! Comapred to other items, this looked really plain though. Not complaining about this collaboration as they are just too cute!!! Lastly, this is my favourite Rilakkuma video clip! The details and that realistic feel of the video made me fell in love with it! Click to watch it now!